Auburn’s newest banner ad beauty? A fetching, freckled young lady named Kristina (anyone know her last name? ), whose American Apparel lip print Crop Top! has been cropping up on blogs throughout May. Per her American Apparel bio, she “holds a degree in Public Relations from Auburn University in Alabama” but is currently following her acting dreams in L.A.. 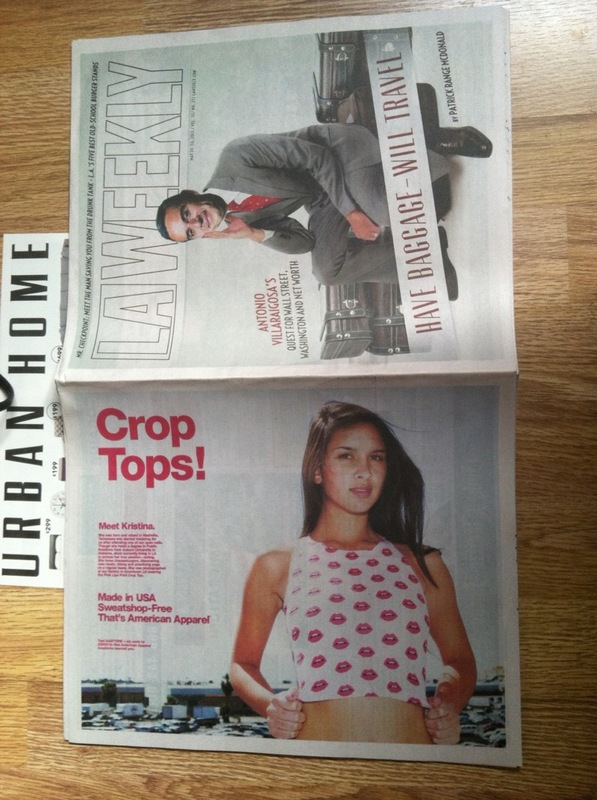 In the meantime, she seems to have become one of American Apparel’s go-to models, if there is such a thing; the way she wears that crop top was at least worthy of the back cover of this week’s LA Weekly. Not bad for someone who just showed up for an open call. 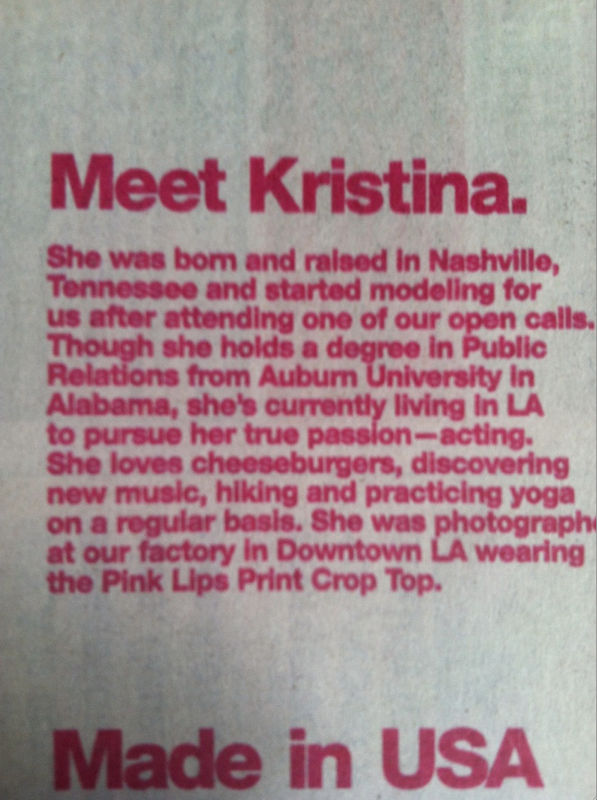 Here are some more photos of Kristina from American Apparel’s Tumblr. They’re also using her to sell leather skirts and a vaguely Auburn-ish tank top / motion short combo. [UPDATE] Auburn photog extraordinaire Phil Smith has ID’d her: 2011 AU grad Kristina Emerson. Here she is modeling for him for a fashion spread in a 2010 issue of the Plainsman. Related: Alice Fraasa, the Snorg Tees Girl, is banner Auburn coed. Very nice! But I still prefer Ms Alice! She just got engaged, Walt. I’m sorry for your loss. No worries. Although it does end my long-running joke, I guess.